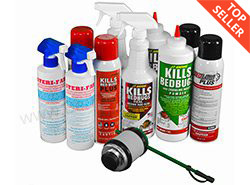 Our bed bug kits include everything you need to start treating your home for bed bugs. We offer complete professional kits, fast-shipping express kits, and non-chemical natural kits. All of our kits work in conjunction with the other steps in our proven 4-step solution. All of our powders and sprays are labeled for bed bugs and have been registered and evaluated by the EPA. Products that aren't registered and regulated by the EPA may not be safe, or may not have any real effect against bed bugs. 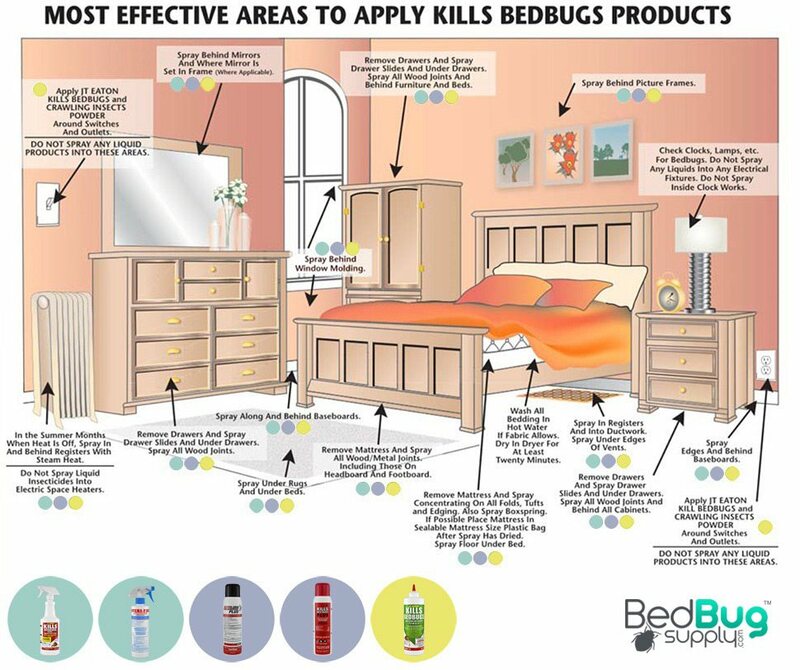 Bed bug sprays are found in two categories: contacts and residuals. A contact killer works exactly how you'd think – it kills bed bugs on contact. This is a great solution for quickly cutting down on the population of a bed bug infestation. 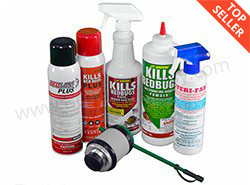 Our most popular contact killers are JT Eaton Kills Bed Bugs, STERI-Fab, and the all-natural Cymex spray. These are all proven effective at quickly knocking down bed bugs and leaving a clean surface after they evaporate. While contact sprays are great for quick knockdowns of a bed bug population, they usually evaporate within minutes or a couple of hours. For long-lasting bed bug control, you'll need to follow up with residual sprays. Residuals can kill bed bugs for up to 6 months, ensuring that an infestation won't get a chance to repopulate. 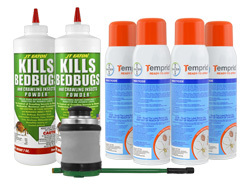 Our most popular residual has historically been JT Eaton Kills Bed Bugs Plus, but newcomers such as Bedlam Plus and Temprid Ready Spray have proven to be just as effective, and are gaining traction among professionals. There are some places you can’t use sprays, like around light switches and electrical outlets. This is where a residual powder, like JT Eaton Kills Bed Bugs Powder, comes in. This is a diatomaceous earth powder that can be applied where sprays can’t. Once a bed bug powder is in place, it will kill indefinitely as long as it stays dry. Choosing which kit to buy depends on what your needs are. 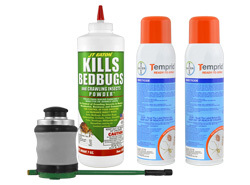 If you are following our 4-step solution, and are looking for the most comprehensive powder and spray kit, you want our Professional Bed Bug Kits. If you need to start your treatment in a hurry, our Express Bed Bug Kits come with FREE 2-Day shipping, and can be shipped overnight for just $20 more. 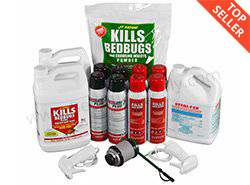 If you’re looking for a more natural option, our natural bed bug kit is an affordable and effective solution. Used in conjunction with encasements, traps, and a steamer, you can eliminate your bed bug infestation without using any pesticides.